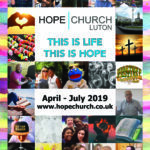 Hope Church has a vision to practically serve Luton by working with local community groups as well as through our own projects. 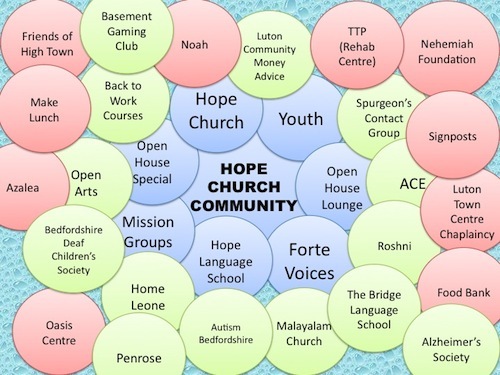 We use our building, the Hope Church Centre as a community centre for many different initiatives that help people in a number of different ways. Theresa helps develop relationships with different groups in the town. 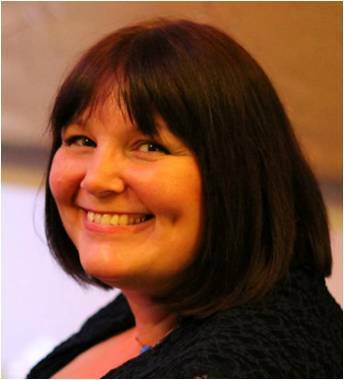 She is the person to talk to if you represent a group who wish to work with Hope Church to serve the people of Luton. If you are interested in volunteering to help the community, and want to know what opportunities are available, please speak to Theresa.